As a man thinketh, so is he�thus is the biblical King Solomon often quoted by proponents of New Thought, one of the most influential native religious movements in America. Albert Amao provides an engaging and serious history of this and related movements from the eighteenth century to the present. His discussion ranges from Phineas P. Quimby, the father of New Thought, and Mary Baker Eddy, founder of Christian Science, to Myrtle Fillmore, cofounder of Unity Church of Christianity, William James, the father of American psychology, and leaders in the emerging field of Energy Psychology. Amao�s aim is to provide a rational explanation of the power of thought to heal the mind and body. All methods of mind/spiritual healing are self-healing, he says; we all have an inner capacity to heal ourselves. 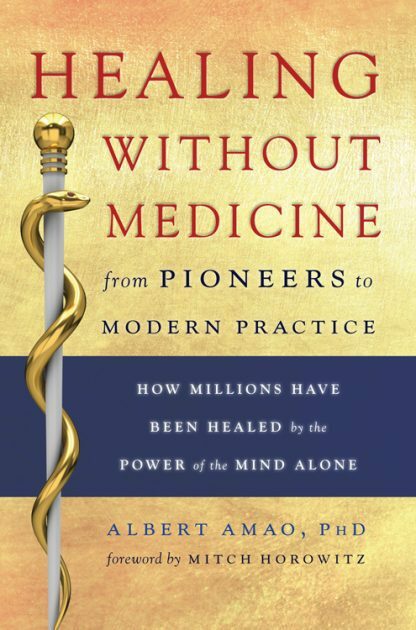 He examines cases of contemporary New Thought leaders who self-healed from �incurable� diseases free of medicine, and he describes the mechanism that triggered their healing. Their experiences have benefited millions of followers worldwide. The beauty of New Thought, says Amao, is that it empowers us to become conscious co-creators of our well-being and achieve success in other areas of life beyond recovering our health. Albert Amao is a graduate of San Marcos University, Lima-Peru. He holds a Ph.D. in Sociology and is a clinical hypnotherapist and holistic counselor. He is an ongoing Ageless Wisdom seeker and has studied metaphysics, New Thought philosophy, Hermetic Qabalah, and depth psychology most of his life, and he also lectures widely on these topics.